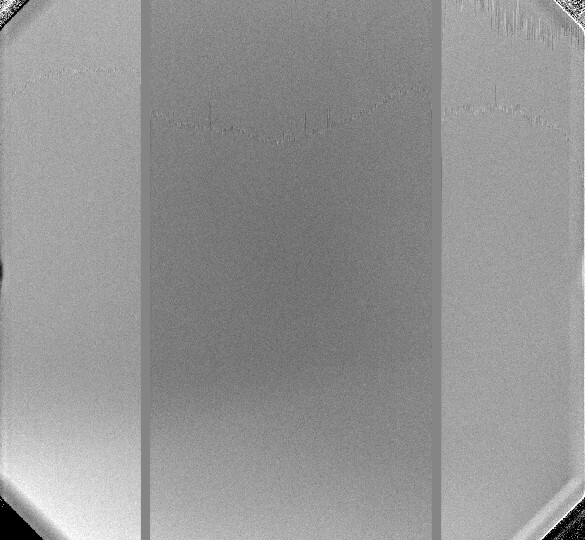 The GMOS-N E2V DD CCDs, used between Nov 2011 and Feb 2017, had much weaker fringing than the original GMOS-N EEV CCDs or the new Hamamatsu CCDs. This page shows examples of fringe frames in imaging mode. 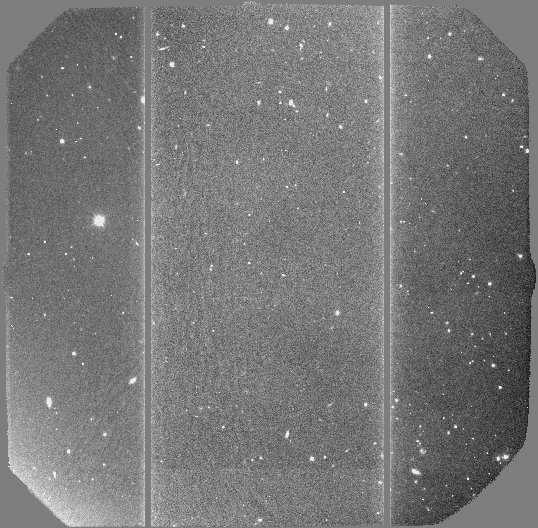 To retrieve fringe frames taken with the Hamamatsu detectors, please specify Target Name "Blankfield". The Hamamatsu CCDs for GMOS-N have similar fringing properties as observed for the GMOS-S Hamamatsu CCDs. Fringing is negligible in i' and Z filters. 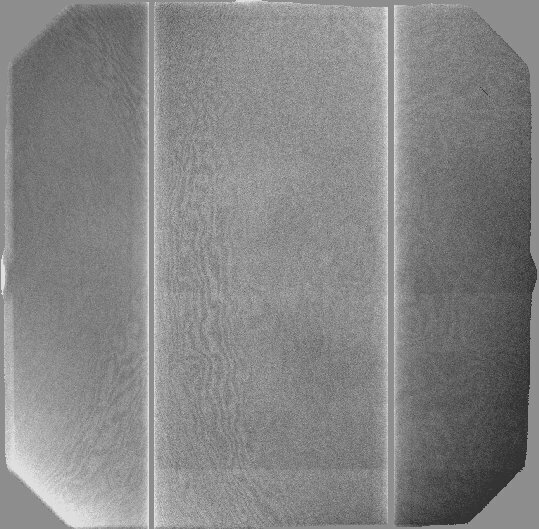 Fringing is noticeable in z' and Y filters. The worst fringing is in the middle chip, at the level of about 1% of the background in z' and almost 2% on average in Y. 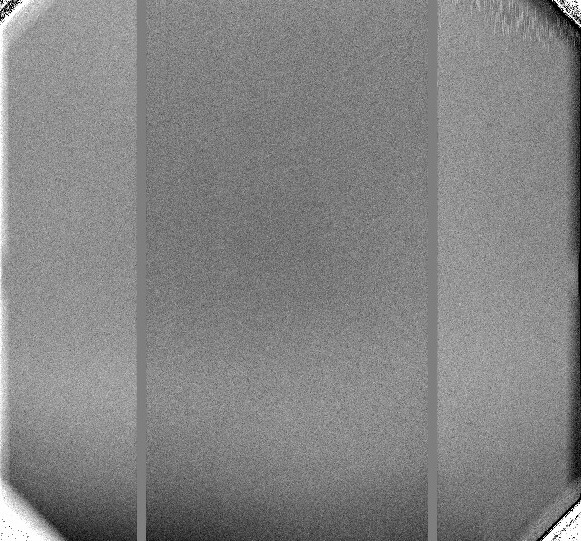 Below we show fringe frames for i' (top left), Z (top right), z' (bottom left), and Y (bottom right) at the same scaling. These were taken in March-April 2017. 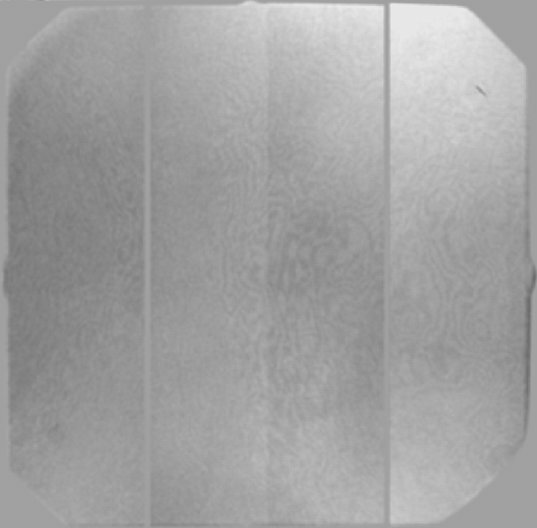 We highly recommend for z' and Y imaging to take enough dithers to generate your own fringe frames. 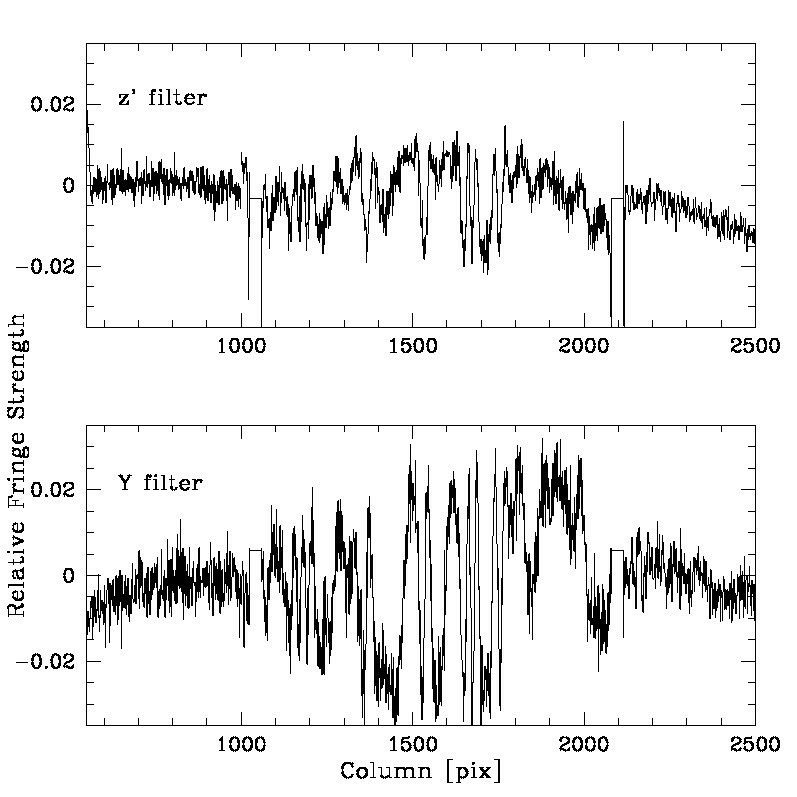 The data shown for the E2V DD CCDs were taken between Dec 2011 - Feb 2012, on photometric nights in dark time. Fringing in the z'-filter is typically +-0.3% of the background, while the i'-filter fringing is less than +- 0.15% of the background. i'-filter fringe frame, median filtered with a box 17 pixels by 17 pixels in order to increase the signal-to-noise to make the fringes more apparent. A z'-band science frame without fringe subtraction. Note the fringing is much weaker than in the original EEV CCDs as shown above. This shows a cut along a single column. Fringing in the DD E2V CCDs in the z'-band is about a tenth as strong as in the original EEV CCDs. The data shown for the original EEV CCDs were obtained the night of August 19-20, 2001, during the commissioning of GMOS-N. This was close to new moon, and the sky was photometric. The fringe strength in the z'-filter is typically +-2.5% of the background, while in the i'-filter the fringing is +-0.7% of the background. i'-filter fringe frame. The images was median filtered with a box 17pixels by 17 pixels in order to increase the signal-to-noise. Because this fringe frame was constructed from only 6 science exposures, artifacts are seen from insufficient cleaning of signal from objects. The signal in the artifacts is typically less than 1% of the background level. Relative strength of the fringes in the z'- and the i'-filter. z'-filter science frame before and after fringe subtraction. i'-filter science frame before and after fringe subtraction.